The Lodge Chair is a contemporary club chair with playful, bent ply arms and a sculptural profile. 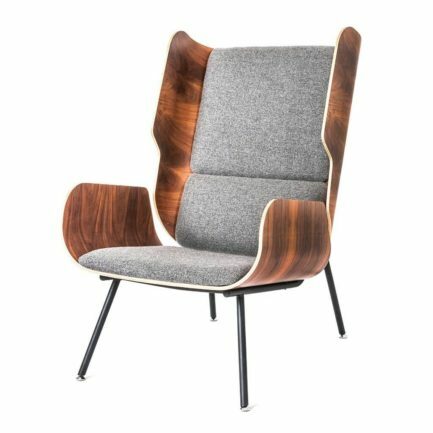 This unique design is available with fabric or top-grain leather upholstery to contrast a walnut-finished exterior frame. The inner frame is constructed with kiln-dried 100% FSC®-Certified hardwood. Sale price for floor model in Chestnut Brown leather only.